The PostHoliday GiftGuide is an idea from one of our interns. They figured that—like in most years—the week after Christmas will be spent sorting through not only what to return, but what to get in return for the return. So here are some suggestions for the post-Christmas “shopping” season. 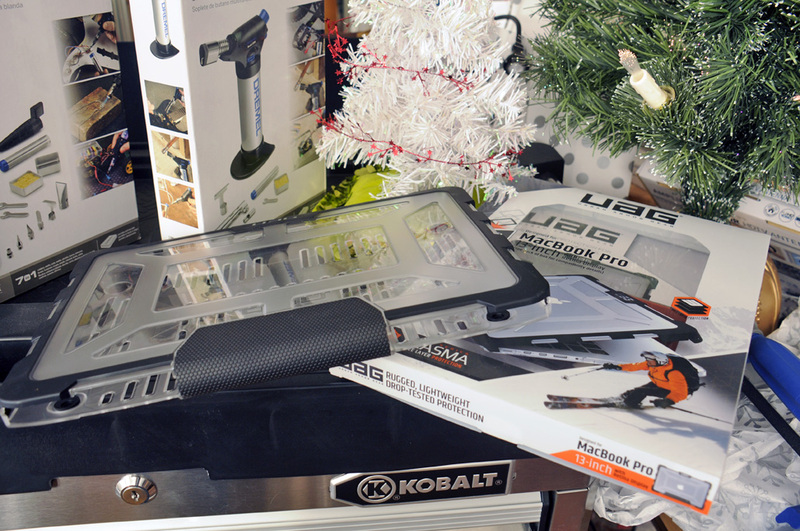 Did you get some tools as presents? Looking for a good portable work surface where you can put those tools to work? 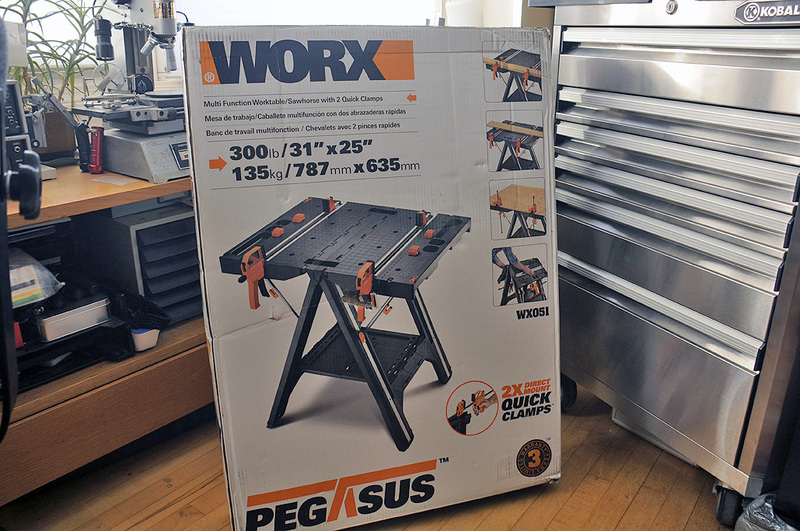 The WORX Pegasus offers sturdy support as both a work table and a sawhorse. With two quick bar clamps and four clamp dogs included, the Pegasus is primed to securely hold a variety of materials. The compact design allows for easy transport, and the Pegasus folds down for space-saving storage. Now you can bring your work table to wherever it is needed! The Pegasus includes four clamp dogs and two quick clamps to hold a variety of materials and stabilize unique shapes, so that you may feel confident securing a variety of materials for the job at hand. 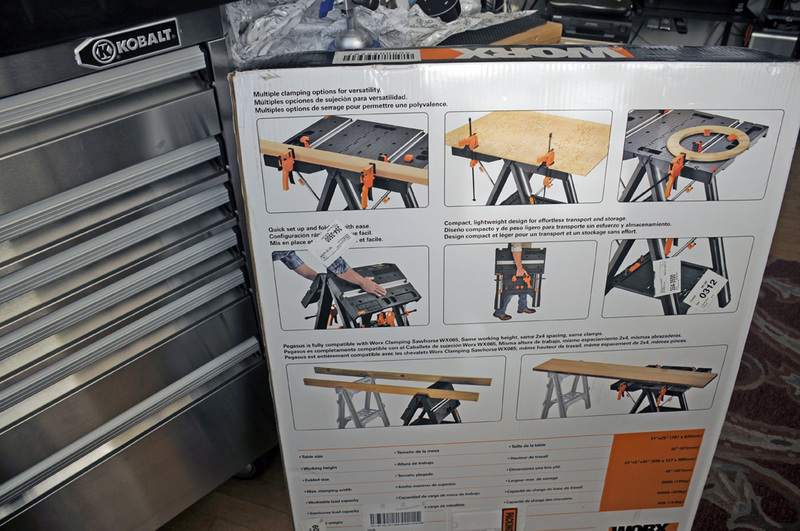 Load up to 300 pounds on the work table or 1,000 pounds on the sawhorse for all your project needs. We will be unpacking ours this week and can’t wait to check it out. Need more than just a fold-up work surface? Want a cabinet to store and organize your tools? A rolling tool chest may just be what you are looking for. We’d been keeping an eye out for a unit that not only provided storage, but served as a work surface as well. Last year, we found exactly what we were looking for at Lowe’s. 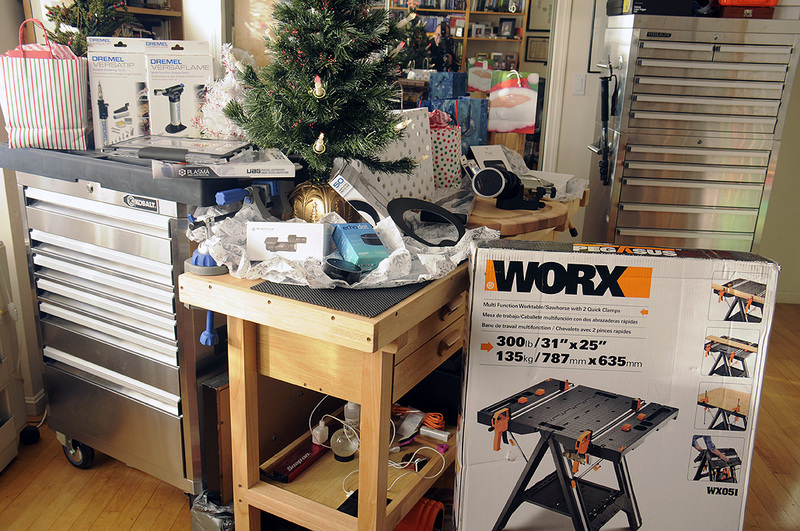 As luck would have it, we got a few presents which we were able to return, and exchanged them for a Kobalt 40-in x 27-in 6-drawer tool cabinet. We have never regretted it. 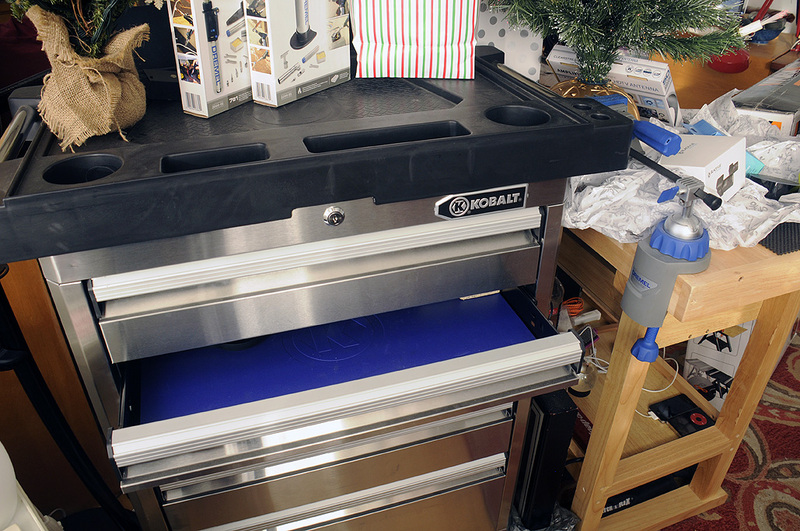 This tool cabinet has ball-bearing drawers, custom liners, a molded top, and industrial locking casters. The heavy-duty, full extension, ball-bearing drawers slide out fully and can each handle 99-pounds of stored goods. The molded work top has integrated handles and a work area. Mounted on the side is a three-receptacle power supply with two USB outlets. With a 1,000 lb total weight capacity, this tool cabinet is no pretender, and has been an excellent addition to our workshop. The Dremel VersaTip™ is the ideal soldering torch for people engaged in creative and detailed projects that require precision and versatility. Fueled by butane, VersaTip offers cordless convenience combined with portability. The VersaTip™ comes in a 14-piece kit that offers 7-in-1 capability, including soldering, melting, hot cutting, welding, shrinking, pyrography, and paint removal. Flame control slider lets you select the right temperature for your project. 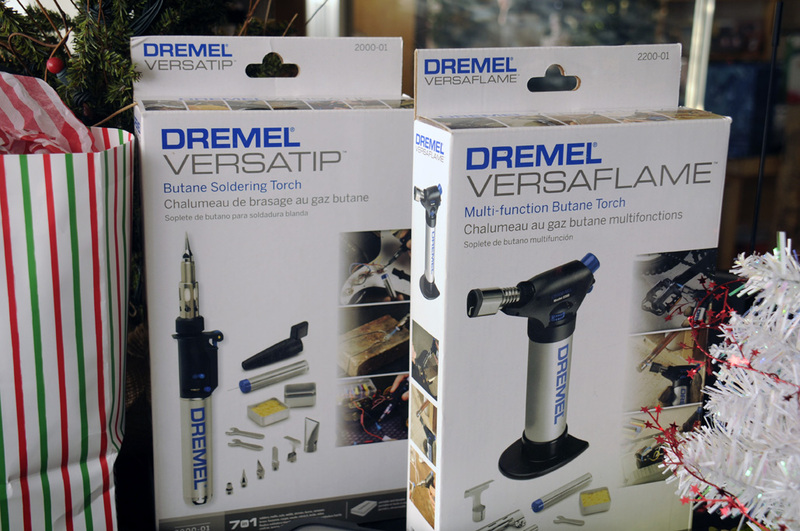 The Dremel VersaFlame is a small butane torch designed to make working around the house and jobsite easier. The VersaFlame comes with a 9-piece kit that gives you the power to tackle an array of applications. By simply switching tips, you can use the butane micro torch for wood burning, leather crafting, stencil cutting, soldering, as well as hot-knife cutting of foam, plastics and rope. The tool’s precision flame allows for detailed household work. Was there a laptop, tablet, or smartphone under the tree this Holiday? Best to protect it with Urban Armor Gear products. Their gear offers superior quality and craftsmanship. Their distinctive cases are engineered to protect your electronics from the rigors of a mobile lifestyle and enhance the utility of your device. Their composite cases has a patented design that features a hard outer shell and a soft impact resistant core. UAG has you covered! Did you get a new HDTV as a present? Well, pair it with the new ClearStream Eclipse™ Amplified Sure Grip antenna. The Eclipse has been redesigned to receive a greater range of frequencies, grips to any smooth surface, and can be painted to match your wall, furniture, or accent color. The 20dB in-line preamplifier system provides added range and maximum signal reception. you will get a picture so clear that you might just be tempted to dump your cable company! 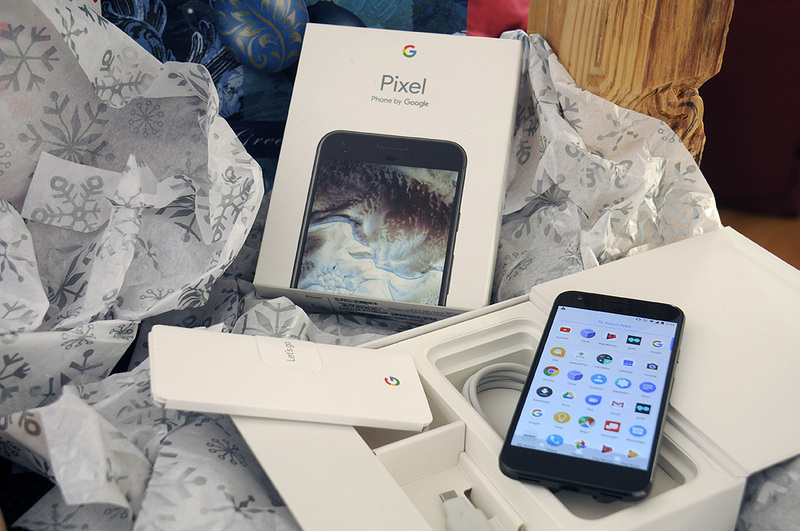 The title of the “best smartphone on the planet” may just have changed hands from the iPhone to the Google Pixel. It has the highest rated smartphone camera. Ever. The battery lasts all day. There is unlimited storage for all your photos and videos. And it’s the first phone with the Google Assistant built in. If you didn’t find one under your tree, head over to the closest Verizon store and check one out…now. We think immersion circulators like the Anova Precision Cooker are the single-best sous vide cooking solution for home cooks. They’re affordable, easy to use, and take up very little space in your kitchen. Anova can be clipped onto any pot you already have at home. Immersion circulators like Anova heat and circulate water to maintain precise temperatures evenly. The Anova cooker works in conjunction with the Anova app, which makes it even easier to get started with sous vide cooking. This practical and beautiful set features two of Kyocera’s bestselling ceramic knives: A 5.5” Santoku and a 3” paring knife. Perfect for the home cook, these knives will be used daily, quickly becoming favorites in the kitchen. Ideal for fruits, vegetables and boneless meats. Use the Santoku knife for slicing, dicing, mincing, julienning and the paring knife for cutting, trimming, seeding and peeling small fruits and vegetables. Packaged in an acetate box. 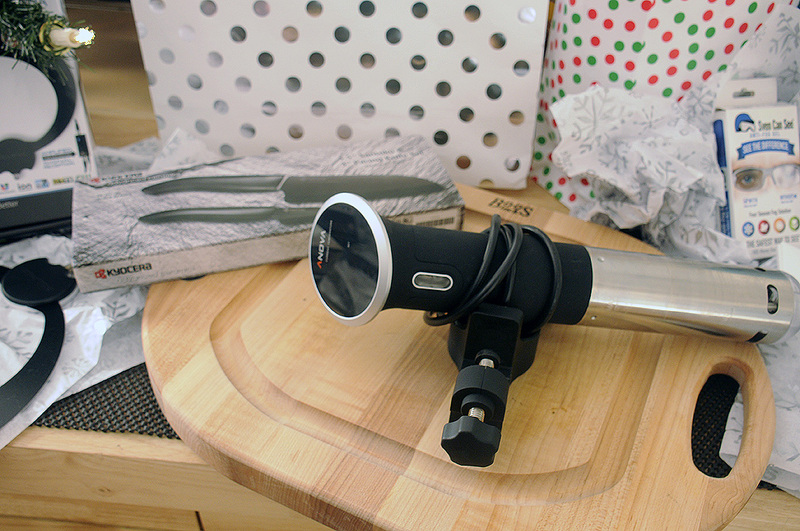 The perfect gift for yourself if love to cook! John Boos & Co. is the manufacturer of premium hardwood butcher blocks, cutting boards and premium solid hardwood kitchen and foodservice preparation surfaces. 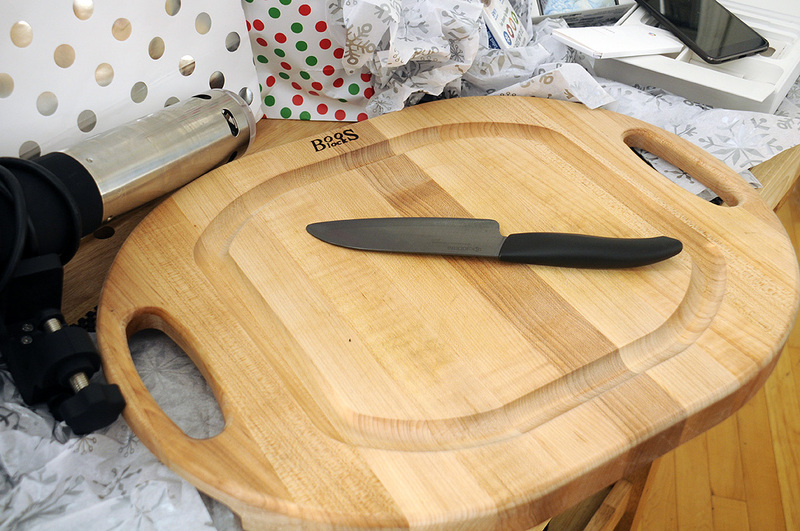 The Chop-N-Serve board with juice groove and handle is new for 2016. Made from 1-1/2″ thick northern hard rock maple with edge grain construction, these boards are reversible and perfect for going from your kitchen to the table. 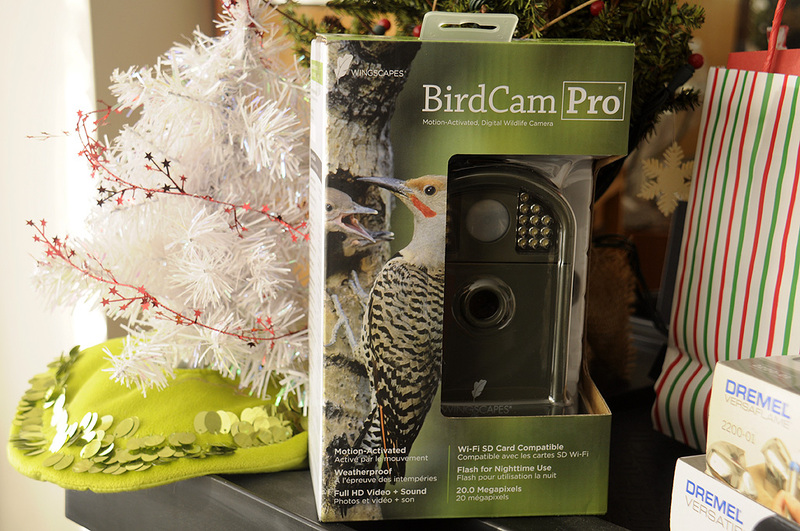 A new unit of the Wingscapes BirdCam Pro showed up on Christmas Eve. The BirdCam Pro is a weatherproof, motion-activated, digital camera that takes crystal-clear photos and videos of wildlife. Apparently, Wingscapes has upgraded the sensor of their BirdCam Pro from an 8MP to a 20MP version! We can’t wait to see the difference in the quality of the images!! !